VWCCS has positions available for Reception and Information volunteers at Newcastle Court House. For more information and to apply, please contact us. “Many criminal cases hinge on the evidence of victims and it’s vital they’re properly supported – not only to ensure justice is served but also to prevent them from being re-traumatised by the court process,” Mr Speakman said. Mr Speakman said Victims and Witnesses of Crime Court Support (VWCCS) will complement existing services available in Newcastle, including the Office of the Director of Public Prosecutions’ Witness Assistance Service and the Victims of Crime Assistance League. “We want victims and witnesses of crime to feel comfortable and confident so they can give their evidence clearly and effectively,” Mr Speakman said. VWCCS President Pieta Thornton OAM said the voluntary organisation provides a range of services to victims and police witnesses, including informing them of their rights, demystifying court procedures and legal terminology, accompanying them to court and helping them to prepare a Victim Impact Statement. “VWCCS has been helping vulnerable people navigate the justice system since 2006, but until now its services have only been available in Sydney, Orange and Bathurst . We are thrilled that we’re now able to extend those services to Newcastle and Dubbo,” Ms Thornton said. 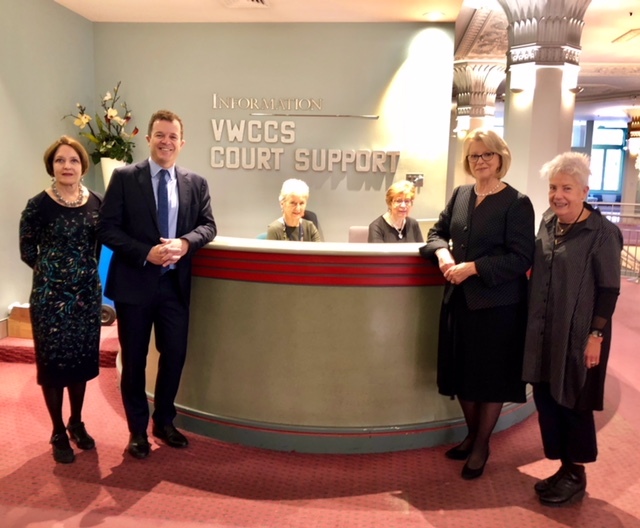 The NSW Government will provide more than $28,000 for VWCCS to train volunteer court support officers for both new locations. The officers will deliver face-to-face help to victims and people who have witnessed crime and are submitting evidence in the Local Court. Mr MacDonald welcomed the announcement as an important and effective way to help vulnerable people at court. “Having a friendly face to explain court processes will greatly reduce stress for victims and witnesses in the Hunter,” Mr MacDonald said.